Ideally located on 1/2 acre (2213m2), this highset character timber home at 46 Sunrise Rd, Eumundi has 3 bedrooms, 2 bathrooms and loads of potential. 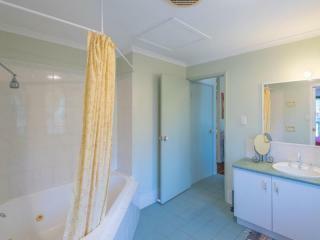 All bedrooms are carpeted with built in robes, 2 with access to the verandah. 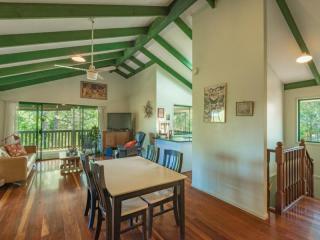 Hardwood timber floors in the living area set the scene with soaring exposed timber beam ceilings. 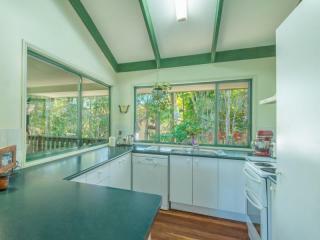 The modest kitchen has electric cooking and a dishwasher. 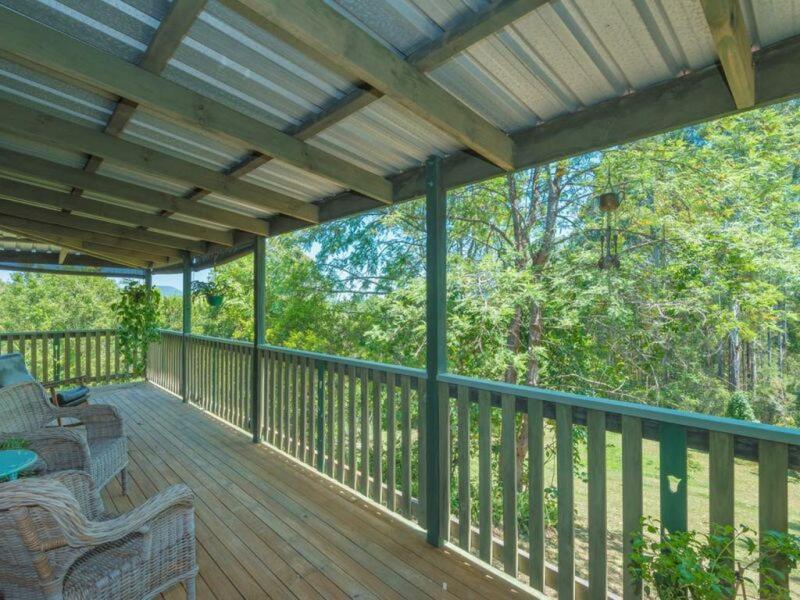 The mood is relaxed with plenty of timber verandahs to capture the breezes and long distance glimpses to mt eerwah and black mountain to the north. Partly concreted underneath with plenty of room for parking 2 cars. However, there is still more space to build in underneath if so desired. (Internal timber stairs access to this point and the 2nd bathroom is downstairs already too). 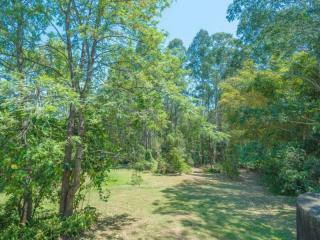 The land is gentle with plenty of grassed area and some shady trees, with the boundary fenced. This location is well inside the 'golden triangle' that has long been sought after by many but not as affordable for some. 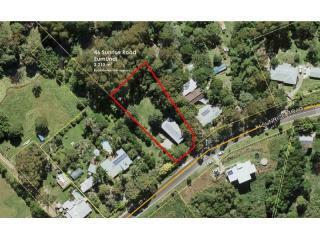 This property has loads of potential. Live in as is or renovate for profit. 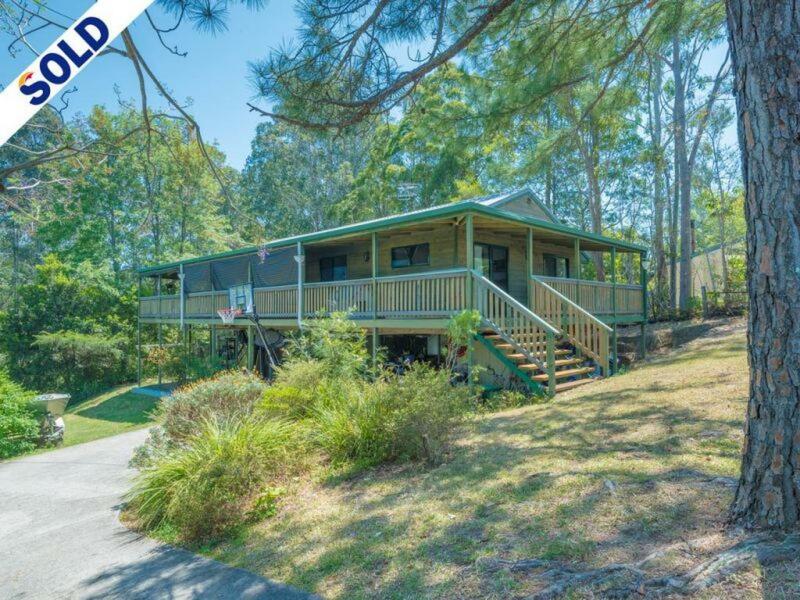 Either way this is entry level acreage living at its best. 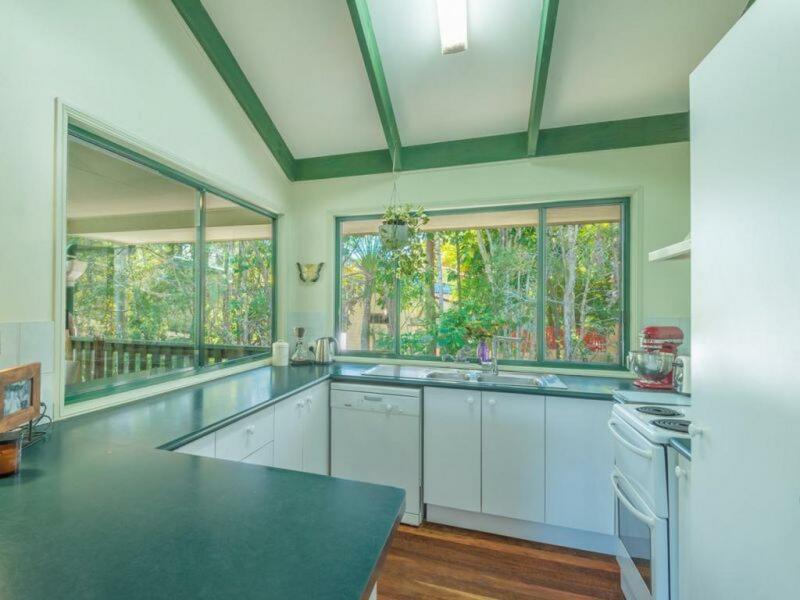 Situated a short drive to the vibrant village of Eumundi in noosa's hinterland on queensland's sunshine coast, the property is currently tenanted and inspection is by appointment.